On January 22, Health Canada released the newly revised Canada’s Food Guide. The new food guide has eliminated the concept of specific food groups and serving sizes. Instead, it recommends ideal proportions for an average meal, with emphasis placed on higher proportions of plants and plant-based foods taking up the plate. The visual food guide—published with the newly revamped Canadian Dietary Guidelines—presents a plate with half its surface filled with fruits and vegetables, one-quarter with whole grains—brown rice, whole wheat pastas, and whole wheat breads—and the remaining quarter with protein foods such as tofu, legumes, nuts, chicken, and yogurt. As opposed to following strict guidelines on what to eat and how much, the guide encourages Canadians to try eating an assortment of healthy foods regularly. In order to do so, lifestyle and consumption practices are suggested as a starting point for people to develop a healthier relationship with their food and maintain more fulfilling, lifelong eating habits. The Canadian Dietary Guidelines report recommends adopting practices such as primarily drinking water, avoiding high sugar, salt, and saturated fat contents, limiting alcohol and processed food consumption, and staying informed by checking and working to understand food labels. 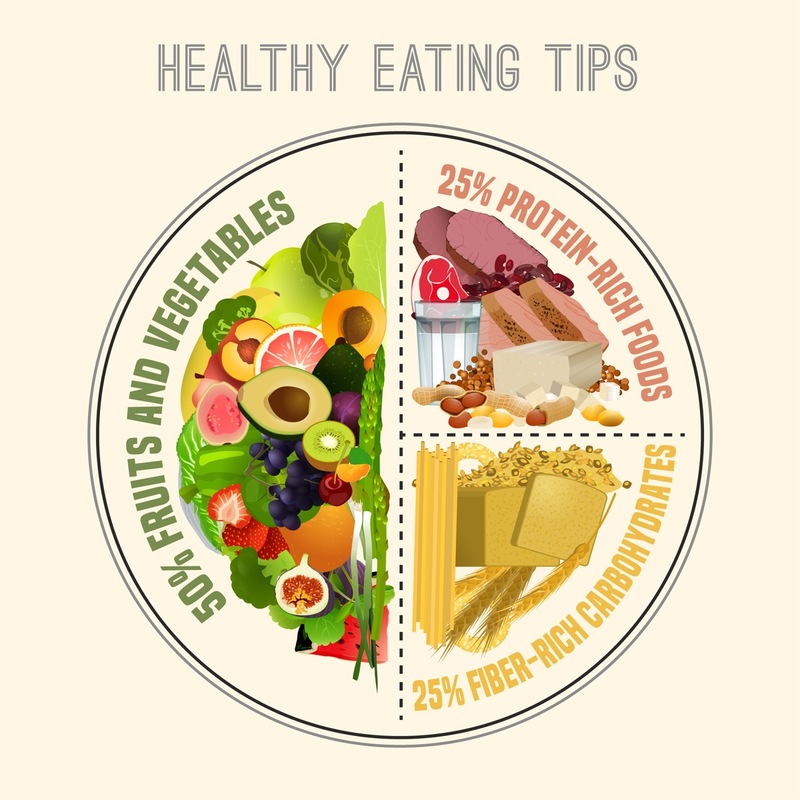 The guide promotes the consumption of nutritious foods. Minimally processed dried, frozen, or canned foods are encouraged when fresh foods are not readily available, affordable, or in season. Cooking at home, meal planning and prepping, practicing mindfulness while eating, taking the time to enjoy every meal, and eating with others are all suggested lifestyle shifts that aim to make cooking and eating more enjoyable for Canadians. The new changes to the food guide mark a departure from prior official food guides. The last food guide update came in 2007, still adhering to the idea of food groups and serving sizes with a notable focus on dairy and grains. Felisha Anderson, a first-year General Studies student, shared her thoughts on the newly unveiled food guide in an email interview with the Other Press. “I think these are great changes to the food guide. The emphasis on plant-based products is fantastic,” she said, adding that she appreciates the more ethical message of the new guidelines. Anderson also said she noticed that the new guide, unlike the last, no longer depicted any packaged products and instead featured home-cooked foods. As for where she’d like to see future food guides go, Anderson expressed her desire to further reduce the consumption of animal products. Meat consumption has been on the decline nation-wide. Canadians have been consuming about 94 million kilograms less beef year-over-year since 2010. This change has been reflected in the new food guide, as well as the forecasted food costs. 2019’s Canada Food Price Report—conducted by Dalhousie University and the University of Guelph—predicts that meat and seafood prices will decrease by up to three percent across Canada, while produce prices could see an increase of up to six percent as their demand increases.